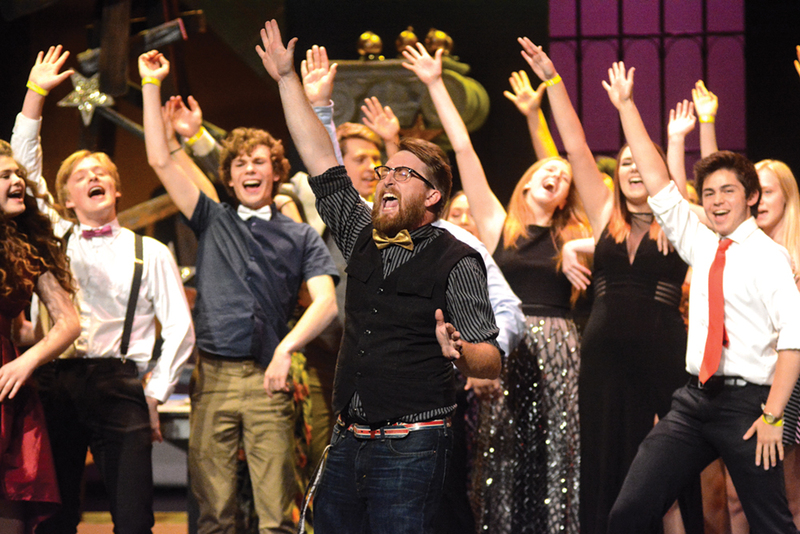 When outgoing McNary drama director Dallas Myers asked the student thespian board to nominate someone for the Ken Collins Award, there was only one name they could come up with, whether he liked it or not. To senior Annie Purkey, Myers was like a father. Myers, who’s taking a position at Auburn High School in Washington, said he didn’t want to accept the award because he didn’t want to admit he was leaving. The students weren’t done honoring Myers. After senior Heidi Hays presented him with a book full of photos from all of the shows over the last seven years, a video played that began with “Dallas Myers is the teacher that we will remember for the rest of our lives, and we just want to say THANK YOU,” followed by testimony from more than 30 current and former students on what Myers taught them. Myers compared the evening to a scene in his favorite movie, Dead Poets Society, when students stand on their desk, declaring “Oh Captain, My Captain” to support their fired teacher.